TOKYO -- Honda Motor Co. raised its full-year profit forecast by 18 percent on a quicker-than-expected recovery from the March 11 earthquake. 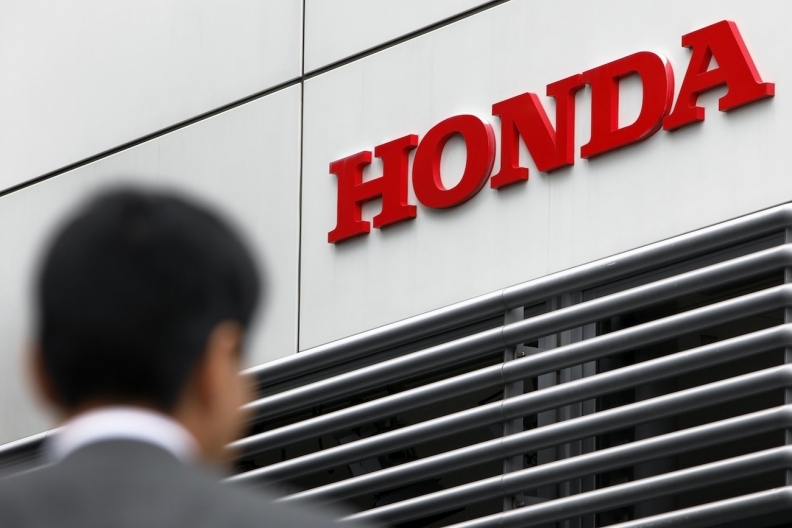 Honda may post net income of 230 billion yen ($2.96 billion) in the year ending March 31, 2012, compared with an earlier forecast of 195 billion yen, it said in a statement Monday. The automaker posted a profit of 534 billion yen in the year-earlier period. Honda and other Japanese carmakers are recovering from the earthquake and tsunami in March, which damaged car factories and caused parts and power shortages. The automaker now expects to sell 4 percent more vehicles this fiscal year compared with its outlook in June. It raised the 12-month sales forecast by 4.8 percent to 8.7 trillion yen, up from a previous estimate for 8.3 trillion yen, the automaker said. Honda said first-quarter net income plunged 88 percent after the March 11 earthquake disrupted production and the strong yen cut earnings from exports. The carmaker posted 31.8 billion yen in net income in the three months ended June 30, compared with 272 billion yen a year earlier. Honda was expected to post a net loss of 36.2 billion yen, according to the mean of eight analysts' estimates compiled by Bloomberg. Sales fell 27 percent to 1.7 trillion yen from 2.4 trillion yen. Honda said its European region had a first-quarter operating profit of 43 million euros on sales of 1.48 million euros. Honda's first-quarter profit compares with larger rival Nissan Motor Co.'s first-quarter result of 85 billion yen net income. Honda was particularly hard-hit by a shortage of semiconductors because it had ordered a new type of chip for its updated Civic compact, which went on sale in the U.S. in late April. Honda's June global output plunged 45 percent to 168,373 units, the company said last week, compared with a 9.2 percent drop at Toyota Motor Corp., Japan's largest carmaker, and a 19 percent gain at Nissan. Honda expects global production to recover to planned levels by the end of the year, it said in June. Carmakers are hiring temporary workers to help fill back orders as suppliers recover. Toyota is employing as many as 4,000 workers, and Honda is engaging 1,000 as they prepare to ramp up production in October.